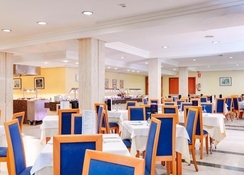 A part of the famous Barceló Hotel Group, Allegro Isora (formerly called Barceló Varadero) is a true holiday gem located right next to the beach in the Canarian island of Tenerife. Settled among the verdant gardens and pools over whopping 21,000 square metres, the resort boasts all-inclusive packages that are ideal for couples and families. 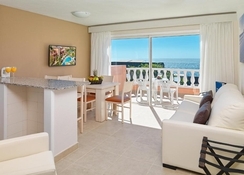 The 4-star property has beautifully decorated apartments overlooking the Playa la Arena beach, a grand buffet restaurant, an international a la carte restaurant, a lounge bar and a pool bar. The young guests get to let off steam at the fantastic mini club and an exclusive pool for kids. Guests can enjoy a relaxing dip at one of the 3 pools, maintain their fitness routine at the gym, score some aces at tennis courts, or simply laze around at the beach or garden. Allegro Isora is nestled amidst a pretty tranquil spot where the Atlantic Sea graces its presence. The Los Gigantes cliffs, 1.5 km away from the hotel, enchant you with its beautiful coves of volcanic sand. For getting to the Allegro Isora, you’ll need to drive 39.7 km from Tenerife South Airport. The hotel has an easy access to the Arena Beach, just 500 metres away. 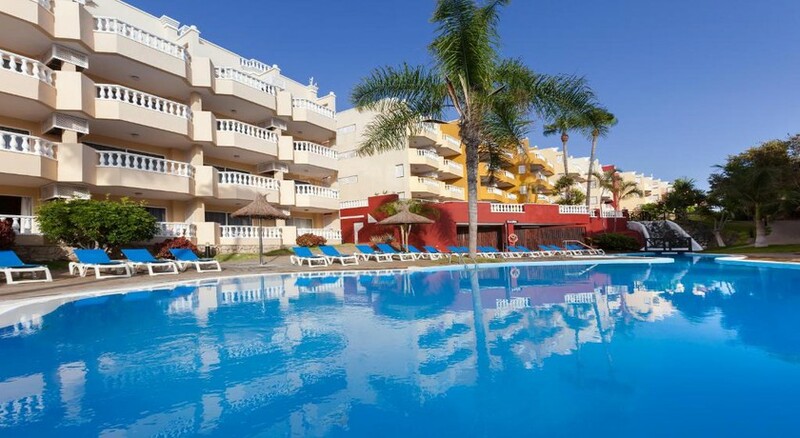 The 315 apartments at Allegro Isora, built in Canarian architectural style, offer a delightful accommodation. The rooms are well equipped with bright colourful furnishings complemented by a private terrace or balcony overlooking the beach, Los Gigantes cliffs, the island of La Gomera and Mount Teide. The apartments feature individually controlled air-conditioning, living room, a lounge opening into an open-plan kitchenette equipped with fridge, oven and other basic kitchen amenities. They come in 4 categories: Apartment Superior, Apartment Superior Sea View, Apartment Deluxe and Family Apartment. 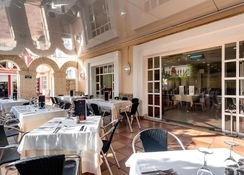 A grand buffet restaurant, a la carte restaurant, snack bar, lounge bar and pool club – Allegro Isora’s food and drink options are grand if not extravagant. The buffet restaurant serves cuisines from different corners of the world, the lounge bar facilitates spaces to socialise over a drink after spending a day at the beach. At the Pool Snack Bar, you can enjoy evenings with your family and kids. There is another, an all-new Palmeras Pool Club which serves you fresh a la carte cuisines by the pool. The wellness centre at the Allegro Isora offers sauna, on-site beauty shop, 2 luxurious spa suites for complete rejuvenation and wellness. The fitness centre is well maintained by professional trainers and you can continue your fitness routine while on the go. The hotel campus has a sprawling 21,000 square metres garden area complemented by 3 magnificent swimming pools. One of the pools is heated in the winter. From the Allegro Isora, you can also trek to the famous Masca Canyons ad explore the wines and cheese that come along the way. There also, are numerous water sports options to try and indulge in, including diving, surfing and sailing. Sports lovers can enjoy tennis, pool and ping pong, while children are offered kids’ pool, playground and mini club. We would like to inform you that at our hotel Allegro Isora, we are going to carry out a refurbishment and some maintenance work to one of our three swimming pools, we are working on improving the appearance of the pool. For the benefit of our clients, we will also be making improvements on the health and safety regulations. We will continue to keep the other two pools and the children’s pool open and kept they are all kept in perfect condition. The jobs are expected to be finished the last week of October. The hotel has taken the necessary measures to ensure that the well-being and comfort of our guests are not interrupted so they can enjoy and use our facilities. Considering the fact that our Wellness Centre is an extra payment service of our hotel, it will be closed during the the period of time that the jobs will take place. We will give our clients the possibility to enjoy the Wellness Centre placed in our nearby hotel Barcelo Santiago. 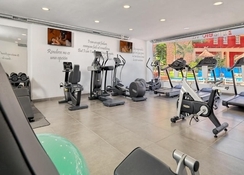 The gym will be moved to another area of our hotel for the normal use and enjoyment of our guests. We are sorry for any inconveniences we may cause to our mutual clients; we have an internal protocol to achieve the maximum satisfaction during their stays, so it is very important that any comments from clients are to be made directly to us or through the guides at the hotel to be able to solve the problems on the spot and be able to ensure that their stays are as satisfactory as possible. 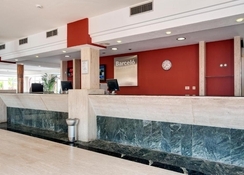 Should you require any further information, please contact with comercial.tenerife@barcelo.com. We would like to inform that Allegro Isora will open its new buffet during the week of 16th July.